Antioch has always been a city of openness, dialogue, and bold initiative. It was converted to Jesus Christ by the preaching of certain of his disciples, and the believers were strengthened in their faith, thanks to the labors of the apostles Paul and Barnabas. The apostle Peter himself, the head of the Christian Church, was its bishop until he set out for Rome. Subsequently, the Church of Antioch prospered and extended its territory, finally becoming one of the great original patriarchates, namely Rome, Constantinople, Alexandria, Antioch, and Jerusalem. In the year 518, the Patriarch of Antioch, Severius, was deposed from his see for having denied the two distinct natures in Christ and for rejecting the decrees of the Council of Chalcedon. A Catholic Patriarch succeeded him, by the name of Paul. However, not all the Christians approved his appointment, and in consequence the Church split into two groups, the Chalcedonians and the anti-Chalcedonians. Every since that time, there has always been a Catholic Patriarch holding to the faith as defined at Chalcedon and a non-Catholic Patriarch rejecting it. A century later, another division affected the Church of Antioch, leaving three groups of Christians, the Syriacs, the Maronites, and the Melkites, and this division has continued down to the present day. As from the seventh century, we find that the original Church had given rise to five district communities, the Melkites, the Maronites, the Syriacs, the Assyrians, and the Armenians, each of which had its own Patriarch. In the twelfth century yet another Patriarch was added in the person of the Latin Patriarch. The Church of Antioch had originally been one church encompassing the whole of Asia and the East, but finally became several churches. Where there had been one Patriarch, now there are several. One day, God’s mercy will bring it together again as one flock under one shepherd. The Maronites are those Christians who gathered round a certain priest by the name of Maron and adopted his pattern of life. Maron left the city and made his abode on a mountain, intending thereby to leave behind the theological strife and to worship God in solitude. But in his retreat, Maron found that his true vocation was to live with others, so he resumed his parish duties and set about teaching the true doctrine. His disciples increased in number, and they began to call themselves Maronites after their teacher. Maron died in the year 410, but his disciples carried on his mission. In 451 at the Council of Chalcedon, they held to the clear teaching that Christ was both God and man, having two natures, one divine and one human. Afterwards the Maronites were loyal defenders of the decrees of the Council. In the upshot, the opponents of Chalcedon showed themselves bitter enemies of the Maronites, who started moving to Lebanon in successive waves after 350 of them had been martyred. Near the end of the fifth century of the Christian era, the inhabitants of Mount Lebanon had been converted by the disciples of St. Maron and had become Maronites themselves. These now welcomed their brethren arriving from Antioch and the two groups, now mingled, pursued their mission together. When the Arabs finally dominated the area, and any regular contact with the patriarchate of Constantinople became impossible, the Maronites had to appoint in 687 their own Patriarch, who was Saint John-Maron. The Emperor of Byzantium acted as if his royal authority extended over the Church. He appointed Patriarchs and in many ways interfered in ecclesiastical matters. The Christians for their part got into the habit of turning to him to solve their problems. When the Maronites chose a Patriarch for themselves, the authorities at Byzantium withheld their consent. While invading the region, the imperial army attacked the Maronites, and a battle was fought at Amioun, which resulted in a victory for the latter. The Patriarch established himself at Kfarhay, where he made the episcopal palace his seat. A number of Patriarchs resided at Kfarhay, among whom are John-Maron, Cyr, and Gabriel. They watched over their flock and ensured the purity of their faith. The Anaphora of St John- Maron, in daily use, is a brilliant testimony to the faith of the Maronites in the Father, Son and Holy Spirit. The lure of the riches of the world, which they had left, could not shake their firm belief, nor could the assaults of their enemies disperse them. They loved their Creator and cherished his Holy Word. At Kfarhay the Patriarchs lived through hard times. Numbers of their spiritual children flocked about them, trudging to Kfarhay on weary feet, carrying in their arms their infant children and staggering under the burden of such simple belongings as they had been able to bring when driven from their houses, their lands, and their property in Syria and the Bekaa. They now came to wrest a living from a rocky, densely forested land, lacking every amenity. However, the district of Batroun opened its arms to them like a mother welcoming her children. Now the Maronites put behind them the years of plenty and prepared for the years of hunger. They transformed rock into fertile soil in which they grew wheat and other grains, planted olive trees, grapevines and mulberry trees, and added to their traditional prayers a beautiful one: ”By the intercession of your Mother, O Lord, turn your wrath from the land and its inhabitants. Put an end to trouble and sedition, banish from it war, plunder, hunger and plague. Have pity on us in our misfortunes. Console those of us who are sick. Help us in our weakness. Deliver us from oppression and exile. Grant eternal rest to our dead. Allow us to live in peace in this world that we may glorify you”. In their prayers the Maronites spoke of their hardships, hunger, disorders, and injustice, for these were things they were familiar with. Finally, after 251 years spent by the Patriarchs in the region of Batroun, they had to find a new refuge, facing new difficulties on new soil. The thoughts of the Patriarch kept turning to the city of Antioch, where he yearned to remain with his flock during its days of torment. The sojourn of the Maronite Patriarchs in the district of Jbeil lasted for 502 years, that is to say, from 938 to 1440 A.D. Thirty-four Patriarchs resided there, whose names are to be found in a list compiled by Patriarch DOUAIHY and published in 1902 by Rashid SHARTOUNI. John-Maron II, Gregory, Stephen, Mark, Eusebius, John, Joshua, David, Gregory, Theofelix, Joshua, Dumith, Isaac, John, Simon, Joseph EL GERGESSI (1110-1120), Peter (1121-1130), Gregory of Halate (1130-1141), Jacob of Ramate (1141-1151), John (1151 -1154), Peter (1154-1173), Peter of Lehfed (1173-1199), Jeremiah of Amshit (1199-1230), Daniel of Shamat (1230-1239), John of Jaje (1239-1245), Simon (1245-1277), Daniel of Hadshit (1278-1282), Jeremiah of Dmalsa (1282-1297), Simon (1297-1339), John (1339-1357), Gabriel of Hjula (1357-1367), John (1367- 1404), John of Jaje (1404-1445). What was the activity of these prelates, and what did they achieve? Of this, history has nothing to record. They lived in inaccessible and trackless mountain fastness. They lacked all means for the acquisition and storing of knowledge and considered themselves happy if they were able to live in peace among their faithful people, treasuring the Christian teaching that had been handed down to them. They did not even have any fixed Patriarchal seat. They went from Yanuh down to Mayfuq, then to Lehfed, to Habil, back to Yanuh, to Kfifan, to Kfarhay, to Kafre, to Yanuh again, and to Hardine, and to Mayfuq again. If they accepted to live an austere life and to be like Abraham ever on the move, it was because it was their will to follow in the footsteps of St Maron, their master, and to say Yes to Jesus Christ. The Patriarchal seat at Mayfuq, which still exists, is a true work of art. If the greater part of the construction is devoted to the church, as was the case of the other residences vestiges of which are scattered about, this was because the Patriarchs were above all men of prayer and so wanted their places of residence to be in the first place retreats for prayer. After the departure of the Crusaders, the Maronites came under attack from the Mamlouks. They suffered every humiliation, while their Churches were set of fire, their villages plundered, and their vineyards destroyed. ”On Monday, the second day of Muharram, Akush Pasha, governor of Damascus, marched at the head of a military force into the mountains of Kesrouan. The soldiers invested these mountains and, having dismounted scaled the slopes from all sides. The Patriarchs themselves had their share of the general misfortune, suffering as much as any. One was tortured, another harassed, another compelled to flee, another put on trial, and yet another burnt alive. ”In 1283 Patriarch Daniel of Hadshit in person led his men in their defence against the Mamlouk soldiery, after the latter had assaulted the Jubbeh of Bsharri. 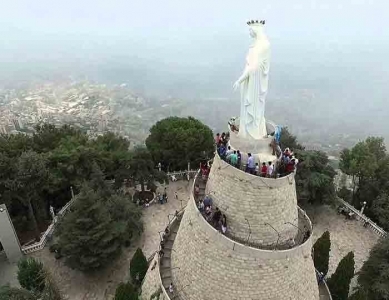 He succeeded in checking their advance before Ehden for forty days, and the Mamlouks captured Ehden only after they had seized the Patriarch by a ruse. ”In 1367, patriarch Gabriel was conveyed from Hjoula, his home district where he had taken refuge during the persecutions, down to Tripoli, where he was burnt alive at the stake. His tomb still stands in Bab el Ramel, at the gates of Tripoli.” ”In 1402, there was great hardship. Many of the dead remained without burial, many of which died of hunger. It was a tragedy without parallel.” (DOUAIHY, The Annals, 338). However, the Maronites bore their trials patiently. They looked on the district of Jbeil, which had sheltered their Patriarchs, as a fertile land which by its bounty and situation invited them to meditation and prayer. They had drawn from its rough roads patience in adversity, from its high mountains the ability to rise above the outrages inflicted on them, and from the vastness of the sea reflecting the azure vault of heaven the habit of turning their vision to distant horizons. For them Jbeil was the Garden of Gethsemane, impressing on them its pure spirit and endowing them with courage, wisdom and peace of mind. They read the Holy Gospel, and in this way they were brought together again. For they did not give up hope. They put in the balance what they had gained and what they had lost as a result of their alliance with the Crusaders and realized that God was their only resort. In Him they placed all their trust and gathered round their Patriarch as their leader, both spiritual and civil. After passing their situation in review, they called on the civil chiefs of the villages, the muqaddams, to act according to the instructions emanating from the Patriarch, and for their part these notables accepted minor orders as sub-deacons to put themselves at his disposition. These initiatives bore good fruit. The country knew some tranquillity and order. When they had invaded Kesrouan, the main purpose of the Mamlouks, who were Sunni Muslims, had been to eliminate the Shiites. But this gave the Maronites the opportunity to act as mediators. To a considerable degree they reconciled the opposing points of view of the two rival communities, acting as Apostles of peace and harmony in all the villages where Sunnites and Shiites dwelt together, interposing between them. The Churches that have survived from this period are small, but they testify to the renewal in our mountains of the mission in Our Lord Jesus Christ, which began when he trod the soil of Lebanon. The priests administered the sacraments and preached the word of God. Miracles followed: wounds were healed, tears were wiped away, vendettas were settled, and unity was restored. The unity of the Maronites owes much to their parochial life. It was this, which led them to enter into relationships with the Shiites and the Druzes, serving the Sunnites Shehabi dynasty, and working with all for the common good. All were united when it was a matter of facing a common enemy. When finally they found themselves in a situation, which knew no other solution, the Maronites moved into the valley of Kannoubine. Pope Innocent III saw with his own eyes what men of prayer the Maronite Patriarchs were on the day when Patriarch Jeremiah of Amshit came to see him during the proceedings of the Latran Council of 1215, in which the latter participated. ”The Pope ordered that the Patriarch be depicted in a painting to be made for St Peter’s. When over the centuries the painting had lost much of its radiance, Pope Innocent XIII ordered that it be retouched. This painting represents the Patriarch raising the host that had frozen in his hands while he was celebrating Mass, with the Pope attending”. (DOUAIHY, Chronologie des Patriarches Maronites, 24). These Patriarchs did not leave behind them great works, such as fine Churches or castles or universities. Nevertheless, they succeeded like the Apostles in watching over their flocks as mothers and fathers do over their children, and to pass on to them the teachings of Our Lord. They formed a people full of the faith, blessing when insulted and enduring when persecuted. When at last they had completed their labors in one place, they carried the torch and went elsewhere. For three centuries the Maronites were cut off from the rest of the world, blockaded with in their mountains; and when the Crusaders swarmed into the East, their discovery of the Maronites came as a surprise. The Holy See itself was astonished to learn of their continued existence when their disappearance had been taken for granted. Subsequently there were strong ties formed between the Maronites and the Crusaders, particularly after the arrival in the East of St Louis, King of France. Although he had received an invitation from Pope Eugene IV to attend the Council of Florence in person, ”the Maronite Patriarch sent Fra Juan as his delegate, being motivated by concern about the risks of the voyage. Fra Juan had an audience with the Pope, at that time presiding the works of the Council, after which he returned to Lebanon bearing the Pallium. ”When the worthy friar reached Tripoli, there was a large crowd who came to greet him; unfortunately however, there were also soldiers sent by the governor to arrest him, the official in question being persuaded that the Christians had met in Florence to prepare the launching of another crusade against the Muslims of Syria. On learning of the envoy’s misfortune, the Patriarch sent emissaries to reassure the governor about Fra Juan’s intentions. After having pocketed a substantial bribe, the governor set his prisoner free after the latter had promised to return after completing his mission. Fra Juan made his way up to Our Lady of Mayfuk, which was then the seat of the Patriarch, and delivered him the Pallium together with a letter from Pope Eugene IV. But he then set off for Rome again, this time passing through Beirut and ignoring his earlier promise to the governor of Tripoli, who naturally enough flew into a rage and sent his soldiers to arrest both the Patriarch and other leading personalities. Finding nobody at the patriarchal residence, he plundered and set fire to the houses around and even killed a number of the local inhabitants. 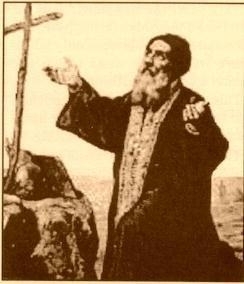 Those of his men who continued the search for the Patriarch destroyed the monastery, killing some of the monks and taking the others in chains to Tripoli.” The Patriarch was obliged to leave the monastery of Mayfuk and from then on lived under the protection of Jacob, Mukaddam of Bsharri.” (DOUAIHY, The Annals, 210). John of Jaj (1440-1445), Jacob of Hadeth (1445-1468), Joseph of Hadeth (1468-1492), Symeon of Hadeth (1492-1524), Moussa AKARI of Barida (1524-1567), Michael RIZZI of Bkoufa (1567- 1581), Sarkis RIZZI of Bkoufa (1581-1596), Joseph RIZZI of Bkoufa (1596-1608), John MAKHLOUF of Ehden (1608-1633), George OMAIRA of Ehden (1633-1644), Joseph HALIB of Akoura (1644-1648), John Bawab of Safra (1648-1656), George Rizkallah of Bseb’el (1656- 1670), Stephen DOUAIHY of Ehden (1670-1704), Gabriel of Blaouza (1704-1705), Jacob AWAD of Hasroun (1705-1733), Joseph DERGHAM Khazen of Ghosta (1733-1742), Symeon AWAD of Hasroun (1743-1756), Toubia EL KHAZEN of Bekaata Kanaan (1756-1766), Joseph STEPHAN of Ghosta (1766-1793), Michael FADEL of Beirut (1793-1795), Philip GEMAYEL of Bikfaya (1795-1796), Joseph TYAN of Beirut (1796-1808), John HELOU of Ghosta (1808-1823). If must be said here that the hardships endured by the Maronites were not entirely to their disadvantage. Their sufferings united the people under their leaders, in turn under the authority of the Patriarch. The Mukaddam of Bsharri was the chief of his whole region. In this way some semblance of peace and order was established. In Wadi Kannoubine, the Maronites heard the Gospel and lived by it. Theirs was a life of sacrifice inspired by the true faith and by hope, and so their lives were directed. They were an example of unity and love. In Wadi Kannoubine the Maronites had no need to be urged to pray. Wadi Kannoubine is in itself an invitation to the forgetfulness of self, to meditation, and to prayer, an invitation that the Maronites did not refuse. ”They spent their time as the first Christians did, learning from the Apostles”. (Acts II:42) Some of them felt the need to live a life more fully devoted to prayer; many men and women sought God away from the haunts of men, and soon the caves in the valley became the retreats of hermits devoted to the inner life of union with the Creator. “We hope that the students of this college during the days ahead, after being formed in piety and the true religion, which are of the tree of Sion and of the teaching of the Roman Church, head of all the Churches, will return home to the cedars of Lebanon to serve their community, renewing in their country faith in God. With the arrival of the first students in Rome, the dreams of the Pope became a reality, and the whole Maronite community began to emerge from the shadows. More than that, the Maronite community now had means of access to Europe and to the world beyond, and was able to play its role as an intermediary between East and West. Many eminent clerics were trained in the Maronite College, the most famous being Patriarch DOUAIHY, ”who visited every diocese to choose holy and educated priests. He examined the liturgical books, corrected the errors introduced into them by the copyists, read and adapted the works of historians, both eastern and western, and wrote books some of which are still unpublished.” (Patriarch Jacob AWAD) Others worthy of note include Joseph Assemani, appointed archivist in the Vatican Library, Gabriel SIONITE, professor first in Rome and then in Paris in the Royal College as well as interpreter to King Louis XIII, Echellensis, whose career exactly paralleled that of Gabriel SIONITE, and Mirhej Ben Namroun, also professor and interpreter. Now western religious communities began to settle in Lebanon. The Capuchins were the first in 1626, followed in 1635 by the Carmelites and in 1656 by the Jesuits. The process went steadily ahead. These religious orders came in order to serve the Lebanese. They opened schools in which the youth of the country were formed, schools whose academic level was on a par with those of Europe itself. Schools were opened one after the other, until there was one adjoining every Maronite Church. Some, such as those of Ain Warka, Mar Abda, and Haouka, flourished and gained a reputation for themselves. Once the Lebanese, at that time mostly Maronites, had acquired a good education, they were at the forefront of Arab intellectual progress, and played a leading role in the cultural Renaissance of the Middle East. The beginning of the eighteenth century found the Maronites divided by two currents. One group wanted to preserve the Maronite traditions, while the others were in favor of the Latinization. The holding of a synod became necessary to heal the divisions and to restore to the community its previous luster. This synod opened at Louaizeh in 1736 and was the most comprehensive to be held in modern times. It was useful to the community, as it provided guidelines for the ending of chaos and the healing of divisions. But it also limited the authority of the Patriarch and favored the liberal Latinizing tendency. It did not provide definitive solutions and left the community in a condition that was by no means entirely healthy. In the region of Jbeil, the Maronites suffered from famine, hardship, and privation, bearing with their lot in patience and silence. When pursued by enemies, they took to flight, and history speaks of no protest on their part, as if they had acknowledged their guilt. Their wretched condition was accepted as a punishment for sin. When the Mamlouks vented their wrath on the Maronites, no murmur rose from their victims. Their muqaddams received the subdiaconate as a way of turning a page on the past and accepting the authority of the Patriarch. In Wadi Kannoubine, too, the Maronites endured famine and privation, and were pursued by enemies. But here they made themselves heard. In Jbeil they had kept silence, but in Wadi Kannoubine they did not accept to be downtrodden. Was this because something around them had changed? Was it because they were in a place of surer refuge, unlike Jbeil? Wadi Kannoubine was indeed their last stronghold, and it was lost all would be lost. Now the Maronite people reacted with vigour and initiative. Men and women devoted to prayer, and particularly to the life of the hermitage, increased in number. Schools were opened and the pupils flowed in. Religious orders were founded, and after division a synod was held. Such a brief summing-up is not without truth. The fact is that Nature has a force of its own. Jbeil is a region of serenity and a school of wisdom, where the Maronites learnt peace of mind. The adjoining sea extended in tranquil vastness. Wadi Kannoubine, however, is all crag and mountain rock, soaring heights and plunging depths. It is a land still bearing the imprint of its Creator, and is a source of revelation and inspiration to action. There the Maronite has been schooled in forcefulness and obstinacy, to become a man of bold initiative. The Patriarch had no winter residence, and therefore considered the construction of one at Bkerke. In 1703, cloister of Bkerke was built by Sheikh Khattar EL KHAZEN. It had a little Church with a presbytery alongside. In 1730, it was taken in charge by the Antonine order. In 1750, Bishop Germanos SAKR and Sister Hindyieh Oujaymeh took it as a house for the Congregation of the Sacred Heart. In 1779, an apostolic decree was issued dissolving the Congregation of the Sacred Heart and putting the house at the disposition of the Maronite community for any useful purpose. In 1786, the Maronite Synod of Bishops declared that Bkerki should be a dependency of the residence at Kannoubine. In 1890, Patriarch Hanna EL HAJJ restored it, adding part of the ground floor and the whole of the upper story. Brother Leonard, the Lazarist, was the architect. In 1970, Patriarch Paul MEOUSHI had various repairs made. All these Patriarchs bore a heavy burden of responsibility, working for the unity of their flock. Their main concern has been the independence of Lebanon. In fact, despite the Mamlouk occupation and the especially redoubtable Ottoman occupation, the Maronites have always managed to preserve a certain degree of autonomy. Their Patriarch refused the decree by virtue of which the Sublime Porte used to recognize the Patriarch, and so they have always been leading their country towards total independence and seeking to preserve all that they achieved. Events followed in rapid succession. After the troubles of 1860 between the Maronites and the Druzes, there came massive emigration, World War I, and then conflicts with brother against brother. The tragedy of 1860 resulted in the death of some ten thousand Maronites, and in a deep division between the Maronites and the Druzes. Many Maronites were forced to leave their homeland and seek their fortune abroad. The coexistence of the communities was called into question. Then during World War I a blockade was imposed on the Lebanese Mountains and hundreds of thousands starved. The Church opened its doors to the poor. Patriarch Anthony ARIDA set up a cement-making factory and also the Kadisha Electricity Company. These provided jobs for hundreds of young men. Such initiatives had a positive effect, helping forward the process of reconciliation to strengthen national unity. After the war, there was a return to the traditional pattern of life. Now that the Maronites had a more normal existence, there were two tendencies dividing them. Conflict was renewed, and the enemy outside entered the house. Coming to the most recent part of the contemporary history of our community, we find selfishness as the dominating force driving the hearts of the faithful. Division reached the point where members were finally at each other’s throats and carrying out massacres. 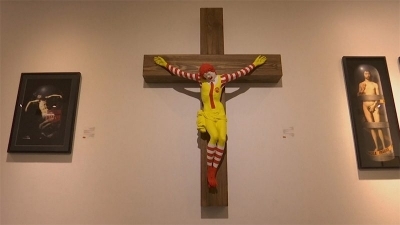 This egoism has inevitable repercussions on the lives of the faithful. There was a moral collapse, and many people went abroad, as their predecessors had done after the events of 1860. Independence was not easy to achieve. After the Ottoman withdrawal, the diverging political orientations of the seventeen Lebanese communities made agreement among them difficult. However, every one of the Maronite Patriarchs knew his mission as an Apostle of peace. His presence could be felt everywhere, supporting every effort for the public good and opposing injustice. All the Lebanese would trust him, for they knew he could be relied on as working for national unity and independence. In 1919, patriarch Elias HOAYEK as delegated by the Lebanese people to go to the Peace Conference at Versailles, and to demand independence on their behalf. The Patriarch went to Versailles explained the problems of Lebanon, negotiated effectively, and accomplished his mission. He thus put the future of Lebanon on a firm footing and obtained satisfaction for the national aspirations. The Patriarchs who succeeded Elias HOAYEK all followed his example. ”No to monopolies!” said Patriarch ARIDA. 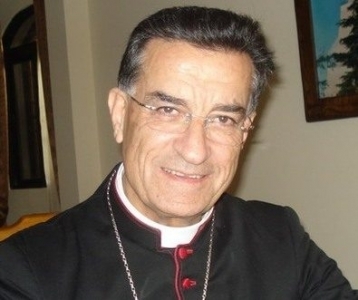 ”No to injustice!” said Patriarch AFEOUSHI. ”No to fratricidal strife!” said Patriarch KHORAISH. ”No to hegemony!” said Patriarch SFEIR. But it was always ”Yes!” For sovereignty and freedom of decision. The Patriarchs looked beyond narrow confines and worked not only on behalf of their community but on behalf of all the Lebanese. Acting in this spirit, they helped strengthen national unity and mutual understanding among the communities. 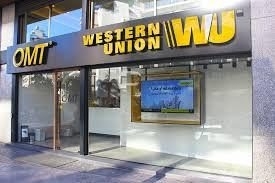 This proved to be a source of wealth for the country, as Lebanon swung into an era of development. When the worst period of trial came to an end, the Patriarch moved to Dimane in summer and to Bkerke in winter. The Maronites thought that glory now awaited them and happiness unalloyed. However, they were to learn that they had a long road to tread before they could achieve their ambitions. Did this mark the end of all the aspirations of the Maronites? Let us turn back to the very beginnings of the Church. ”That very day the Church in Jerusalem began to suffer cruel persecution. All the believers, except the Apostles, were scattered throughout the provinces of Judea and Samaria... The believers who were scattered went everywhere, preaching the message”. (Acts Vlll. 1/4). A similar movement in the history of the Maronites in Lebanon paralleled this development in the early history of the Church in Jerusalem. The Maronites set out for foreign parts and in doing so spread the message of St Maron throughout the world. The Maronites of the Diaspora, estimated to number some four million, played a humanistic role wherever they went, and wherever they went they succeeded, the most famous among them being Khalil GIBRAN. However, they did not forget the suffering land of Lebanon, which they had once left; they helped it financially and politically with a view to their future return. Emigration meant no setback for the community, and the Maronites were by no means doomed to extinction. At the same time, the papal bulls, received by the Patriarchs over many hundreds of years and jealously kept in the Patriarchal archives in Bkerke, the manuscripts written by bishops, priests, and hermits in the valley of Kannoubine, in the Churches of the mountains of Lebanon and elsewhere, kept the historical documents numbering over a million, all these are a testimony to the achievements of the Maronites in passing their message down the ages and to the witness they have borne for Christ down generations of cruel suffering. Their mission has been clearly fulfilled despite the challenges they faced. Saint Charbel Makhlouf, whom Pope Paul Vl canonized on October 9th, 1977, and Blessed Rafca Rayess, whom Pope John-Paul II beatified on November 17th, 1985, may help us as examples of that multitude of Maronites who followed Jesus Christ in silence, doing his will, and forgetting themselves for the sake of their Savior and of His Gospel. Charbel and Rafca represent those Maronites who said ”No!” to evil and who incarnated that Maronite spirituality whose youth is ever renewed. Self- seeking has hampered this mission, assumed by the Maronites down the centuries. It may be thought to have been enfeebled to the point where it appears non-existent. However, there can be no doubt that it will revive, that love will prevail, and that the Maronites will once again play their leading role. The Pastoral Synod called for by Pope John-Paul II on June 12th, 1991, is a ray of hope. If the whole Maronite nation has suffered decline, in the same way this nation, if it listens to the call of the Pope, will triumph over its sins and continue on the road to success. Will triumph over its sins and continue on the road to success. This initiative comprises, among many other proposals, an educational project the effectiveness of which is certain. All efforts are to be coordinated and with good will on all sides there can be no doubt concerning the results. The teaching, which formed the Maronite nation in the days of Yanuh and Mayfuk, will sanctify it during the days of Dimane and Bkerke. It has become apparent to many that the cause of the evils which have come upon us, the fratricide, the expulsions, the ruin and the devastation, has been the failure to give adequate instruction, with the tragic consequence of a turning away from God. What we must demand from Dimane and Bkerke is encouragement for this task of Christian education. Instruction is the doorway to salvation. The more vigorously they follow the path marked by their ancestors in following the apostolic teaching, in leading the common life, in breaking bread, and in prayer, the better the Maronites will surmount their failure, and the sooner they will pass from Golgotha to the glory of the Resurrection. Dimane and Bkerke are the sheet anchor. They point the way to Christ. They are the windows to the glory of Resurrection.